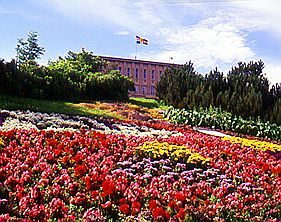 Gustaf Adolf Mauritz Erikson is born in 1872 in Lemland, in the Åland islands, finnish islands located in the Botnie gulf of the Baltic sea. He started sailing at the age of 10 years as a cabin boy on the barque Neptun. In 1893, 20 years old, he became captain and took his first command on the sailer Adele. He made two voyages to Morlaix. In 1900, he got his licence of high sea going master and took command of the barque Southern Belle, that he ended buying in 1917. In 1906, he took in command the square sail ship Albania. 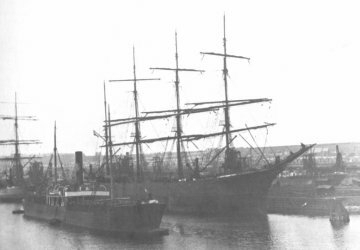 In 1909, he took in command the barque Lochee (former square sail ship). In 1913, he decided to become shipowner. 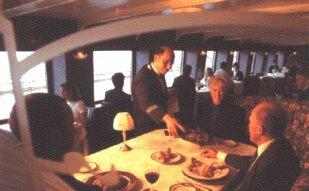 He owned many ships during 20 years in Mariehamn, also in the Åland islands. 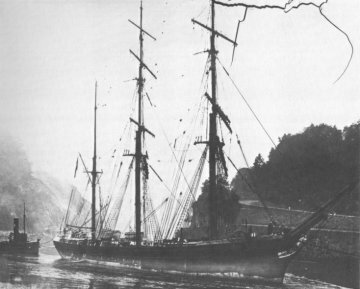 He bought his first ship, the wooden three-masted barque Tjerimai in 1913. She proved to be an excellent investment and served him until 1925 where she was lost in the North sea. 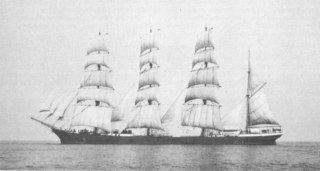 Erikson also bought in 1913 the german four-masted barque Renée Rickmers. He renammed her Åland, but she stranded in august 1914 in front of Wellington. Her captain ignored that the First World war had just started and that the lights were turned off. Erikson so decided to never rename a ship again (he sometimes gave back their initial name to certain ships). During the First World war, he was quite lucky compared to other shipowners. 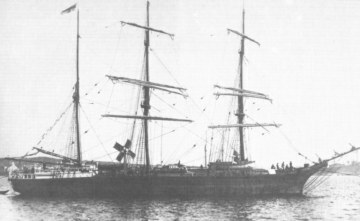 Very few of his ships were lost (as the barque Borrowdale and the four-masted barque Margareta torpedoed by german submarines). In 1916 he bought the majority of the Professor Koch then of the Grace Harwar, built in Glasgow in 1889. 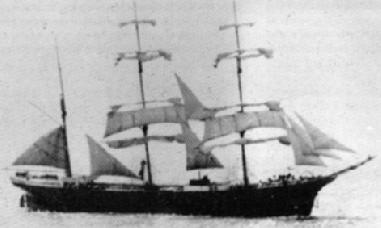 She was the last finnish goods transport sail ship. 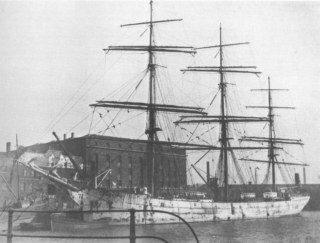 In 1917 Erikson bought the bigger sail ship in Finland to the shipowner August Troberg. 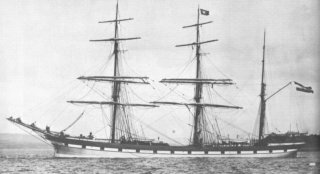 It was the four-masted barque Lawhill. She was a bit special as she was rigged a double topgallant but no royal. Such ships, called " bald headed ", were quite unfrequent. 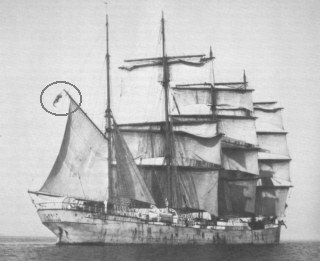 Even more unusual, the topgallant mast was mounted aft the main mast. The Lawhill was however, like the Tjerimai, a very good investment, and was soon called lucky Lawhill by his owner. 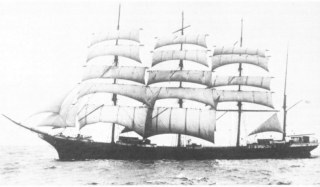 In 1921 he bought the legendary Herzogin Cecilie (sail training ship of the Deutscher Lloyd of Bremen), built in 1902 by Rickmers AG in Bremerhaven. 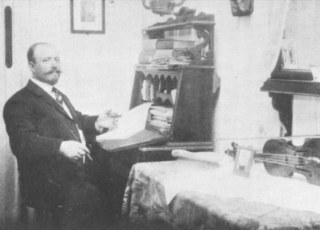 Her first Åland captain was the famous Ruben de Cloux. 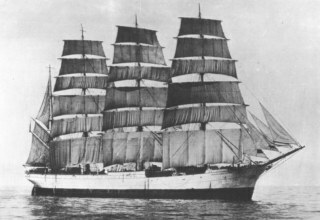 Seized in 1918 by the Chile but handed back in Bremen in 1920 she was offered to France in 1921 as a war compensation, and resold the same year to Erikson. Rigged as a four-masted barque, she was her faster ship, recording more than 20 knots. Her stranding at Bolt Head near Salcombe in the South Devon in 1936 was a tragedy. 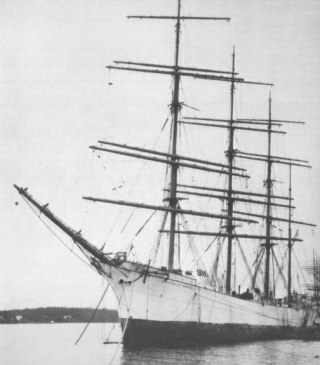 In 1923 he bought the four-masted barque Pommern, now associated to Gustaf Erikson. She was a " P-liner ", i.e. 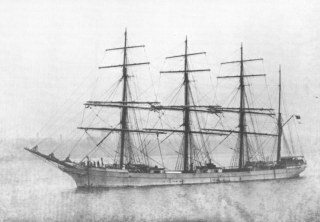 a ship owned by Ferdinand Laeisz of Hamburg (although she was not initially built for him), who had sailed on the south american nitrate trade. 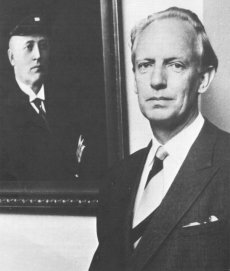 Erikson was very much interested in the ships that Ferdinand Laeisz owned or had owned because he knew they were good well kept ships. 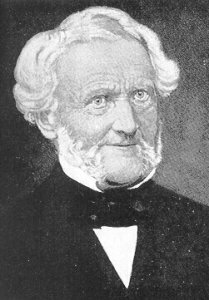 Most of the " P-liners " were too expensive for him, but he succeeded however to put hands on the Pommern, the Penang, the Pamir and the Pestalozzi. 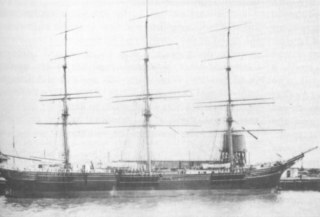 The Penang was a three-masted barque with steel hull built in 1905 in Bremerhaven under the name of Albert Rickmers. 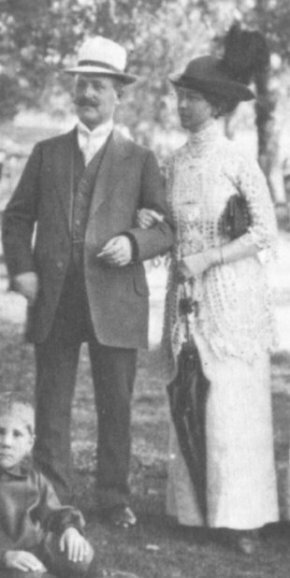 In 1911, Ferdinand Laeisz bought her and put her on the south american nitrate trade. In 1923, G. Erikson bought her back for the australian grain trade. In 1941, she was reported missing. It is only in 1971 that it was known she had been torpeoded by the german submarine U-140, commanded by the lieutenant Hinsch, without notice. 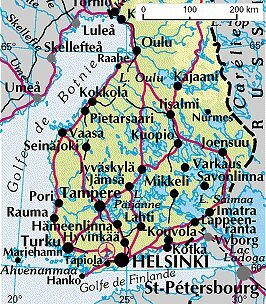 Hinsch, en route for a Cap Horner congress in Mariehamn in 1976, was said he risked to be lynched and he cancelled. 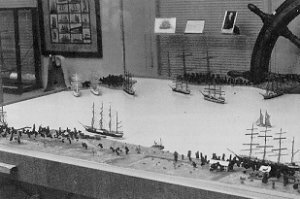 The Erikson's ships sailed around the world on various routes, but with time it became harder for the sail ships to compete with the motor ships. The Archibald Russell did the last transport between the Baltic sea and Australia in 1931. Seized in 1941 by the british government, she was handed back to Erikson in 1948 only. She was scrapped in 1949. The only high sea course where sail ships could compete was the australian grain trade on which all the Erikson's ships of enough size were put in the 30's. All were rigged as barques but the ship Grace Harwar. Most of the barques were four-masted, except the Winterhude, the Killoran and the Penang who had three masts. 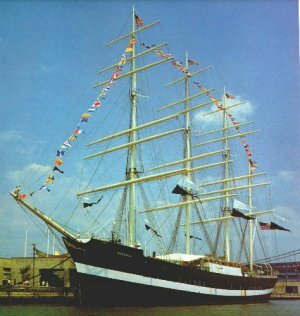 Erikson bought his last sail ship in 1935, the four-masted barque Moshulu. She sailed under the american flag during the First World war, under the name of Kurt then Dreadnaught and finally Moshulu given by Mrs Woodrow Wilson. 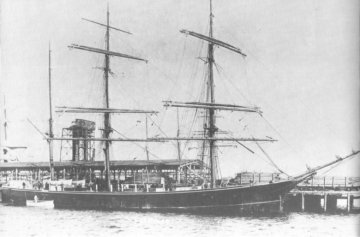 Built in 1904 in Glasgow by William Hamilton & Co. as a nitrate transport for a german shipowner, the Moshulu was one of the last deep sea going sail ships. She was put on the grain trade between Australia and Europe during the 30's. Most of the ships on this route were owned by Erikson and there was always a race between them on the homeward bound voyage. The Moshulu won in 1939 the last grain race. The Moshulu is now a luxury restaurant along the pier in the port of Philadelphia. The Second World war was very hard for Erikson's fleet. 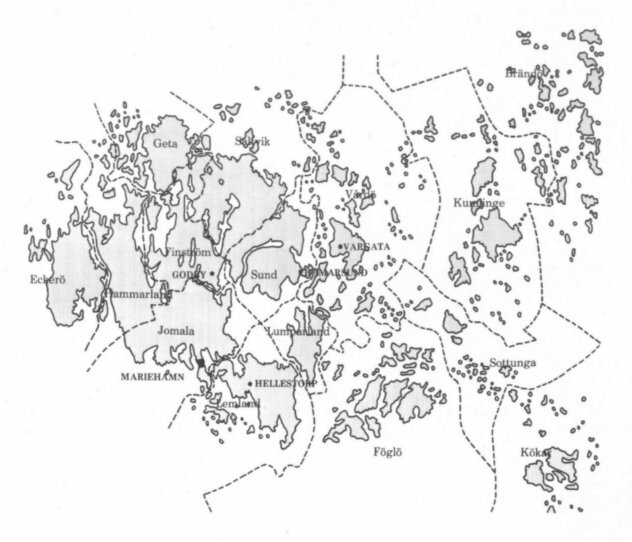 The Olivebank blew up on a mine in the North sea, the Penang and the Killoran were sank by the Germans. The Lawhill was taken over as war seizure by the South African government, the Archibald Russell by the british government and the Pamir by the New Zealand government. The Germans took over the Moshulu in 1942 as she was in Kristiansand when they occupied Norway. After the war, the Viking and the Passat sailed again and made two voyages for the grain trade (46-47 and 47-48). moment, so she laid up in Mariehamn. The 15 august 1947, he died at the age of 75. His son Edgar managed then the company and got back the Pamir and the Archibald Russell in 1948. He again owned five sail ships, however only the Passat and the Pamir sailed again for a last grain transport in 1948-1949. It was the last time in history that square rigged sail ships were used for goods transportation, and that a cargo passed the Cape Horn. Edgar Erikson being unable to make money out of the sail ships, he decided to get rid of them. 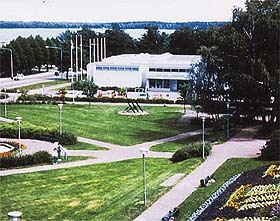 The Viking was sold to Göteborg and the Pommern was given to the City of Mariehamn. 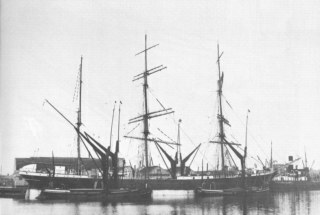 The three other ones were sold to scappers but a consortium of german shipowners bought the Pamir and the Passat and saved them from destruction. The Passat ended her life in Travemünde after the wreck of the Pamir in 1957. The Pommern can still be visited as a museum ship in Mariehamn in the frame of the maritime museum. 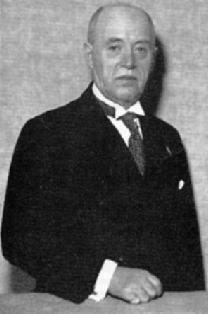 Edgar Erikson died in 1986. The company stil exists and owns more than 20 refrigerated vessels.